The amazing Gladstone kitchen comes complete with an oak finish. 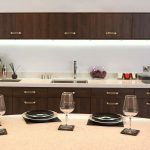 And the linear style of this kitchen, with its straight lines and copper styled handles, creates a look which is reminiscent of an Italian designed kitchen. We have made sure that this kitchen encompasses three key qualities; being sharp, stylish and luxurious. Our Gladstone is an elegant kitchen design that can definitely deliver that ‘la dolce vita’ vibe into your home! It’s a kitchen design that wouldn’t be seen amiss in most Venetian homes! 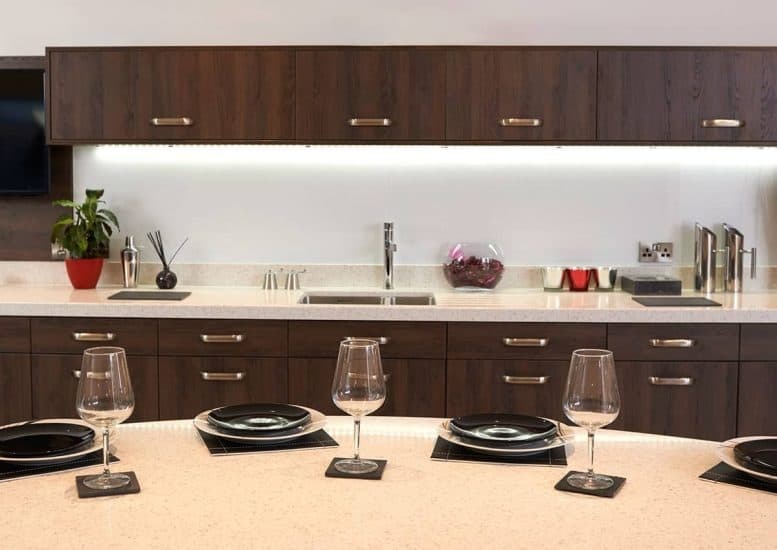 If you’re interested in this, or any of our kitchen designs, fill in our design visit form and we can get in contact with you to arrange a free, no obligation home design visit! Our kitchen experts will come out to your home, measure and create your dream kitchen right in front of your eyes! All of our kitchens are created in our in-house factory, based next to our Dungannon showroom. All of our kitchens, including the cabinets and carcasses, come with at least a 6 year guarantee to make sure that your kitchen stays looking its best for as long as possible!